Blogger Abe Rosenberg of NewsWriting.com noticed our post about the faux “Today” kitchen used earlier this week (thanks for the link, Abe!) and made note of an interesting piece of trickery he is aware of — this one involving “NBC Nightly News” in 1977. Now, that ceiling is real. 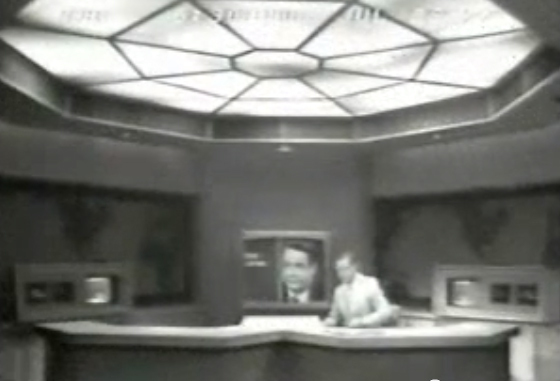 However, by November of that year Nightly News had moved into another studio without a similar ceiling… and it cost too much to build one. Not wanting to fundamentally change the look of the show, set designers came up with an ingenious idea. They mounted a PHOTOGRAPH of that ornate ceiling on a bracket directly in front of, and just above the camera lens (this contraption was called a “Gobo”). So when the show began on a wide shot, you saw the anchors seated at their desks, and that familiar-looking ceiling over their heads. Only it wasn’t there. It was a picture. 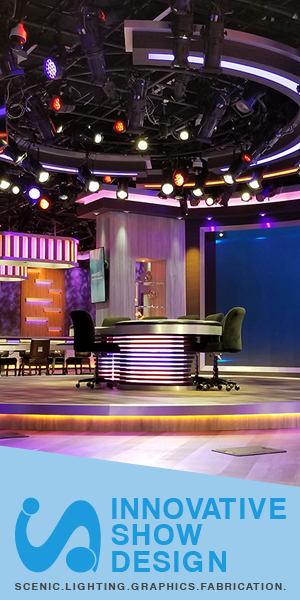 Although NewscastStudio can’t independently verify this technique was used, Rosenberg writes he saw the studio in question himself and an NBC technician explained the trick to him on that tour.